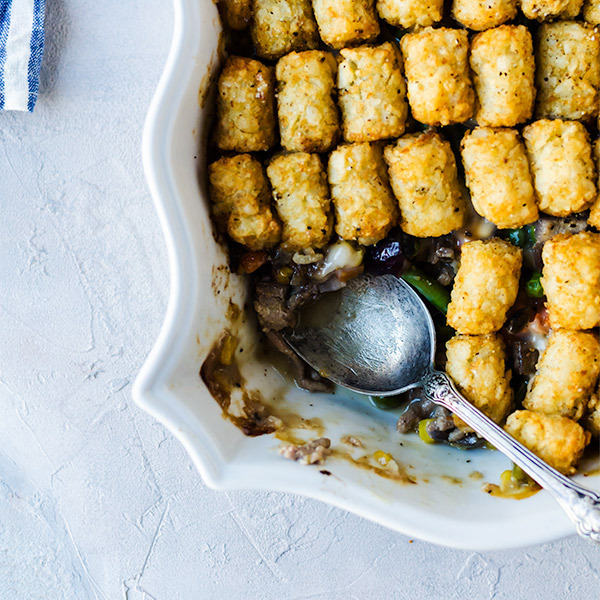 This simple turkey tater tot casserole is a delicious classic that the whole family will love. Perfect for busy weeknights. Tater tot casserole is one of those weeknight meals you make when you don’t know what else to cook, but at the same time, the whole family gets excited once you bring the pan to the table. Sadly, I only recently discovered how amazing tater tot casseroles were when a friend gave me a pan after I had my daughter. Once I had my first serving, I was hooked and it became a part of our regular weeknight meal routine. Traditionally, tater tot casserole is made with ground beef, but I prefer to use ground turkey for a lighter version. What I love is that the casserole is infinitely customizable. The recipe below is what I usually use on most days, but I also change things up by adding cheese, or changing the soup to cream of chicken or even cream of celery. On a couple of occasions we use broken up sausages for the meat. I also like to change the vegetables according to what we have around. Most of the time I use a bag of mixed frozen vegetables which I always have in the freezer. On days we have a lot of fresh veggies on their last days we will use them. 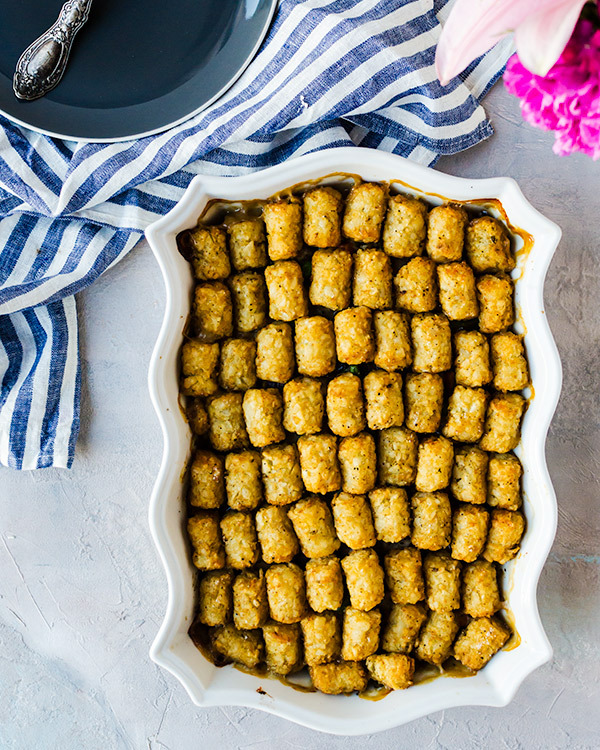 You really can’t go wrong which is why tater tot casserole is so perfect. It’s easy to use what you have already in the house and always comes out tasting incredible each time. Heat a large skillet with about two tablespoons of extra virgin olive oil on medium high heat. Add the ground turkey and diced onion. Season with salt and pepper to taste. Cook until the turkey is browned and the onions are translucent. Transfer the ground turkey to a 9 x 13 baking dish. Add the vegetables to the skillet and cook until heated through. Top the turkey with the vegetables. Season again with salt and pepper as needed. Mix together the soup and milk together and pour over the mixed vegetables. Top the whole casserole with tater tots. Bake for about an hour, or until the tater tots are golden brown.